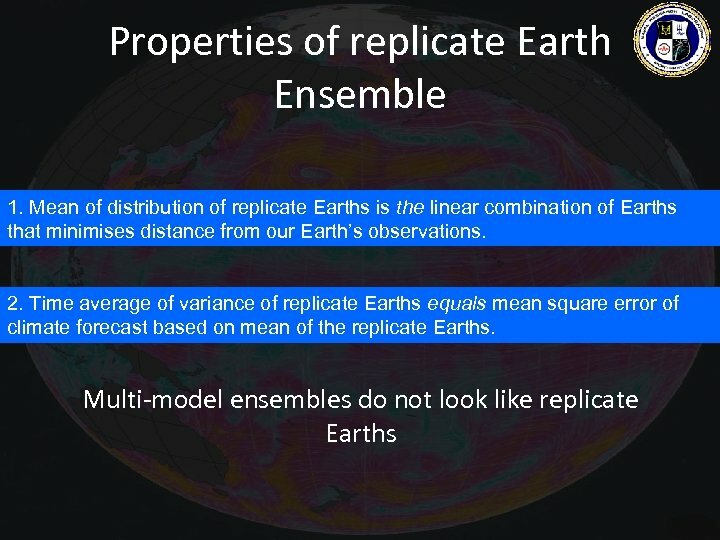 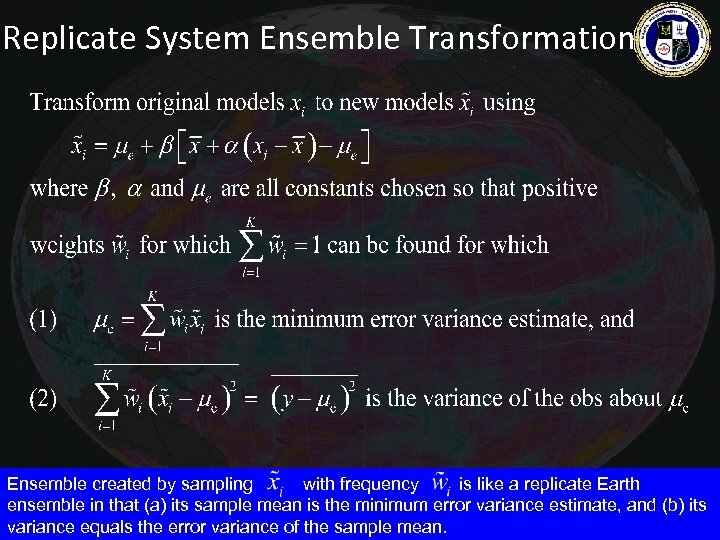 Replicate System Ensemble Transformation Ensemble created by sampling with frequency is like a replicate Earth ensemble in that (a) its sample mean is the minimum error variance estimate, and (b) its variance equals the error variance of the sample mean. 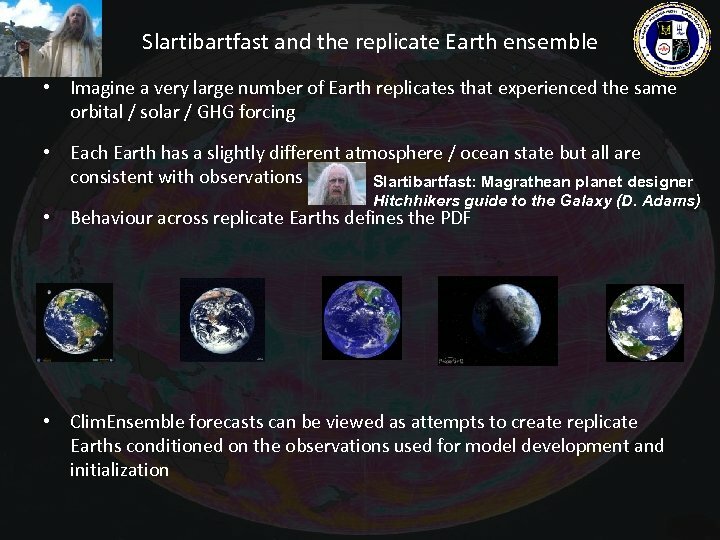 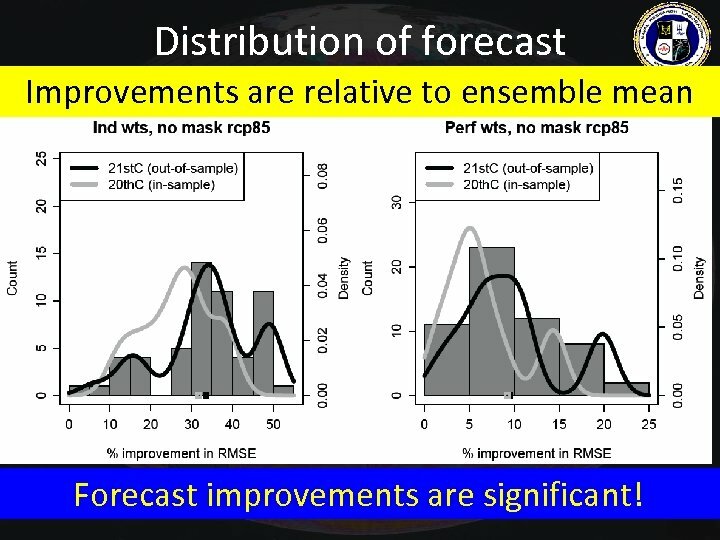 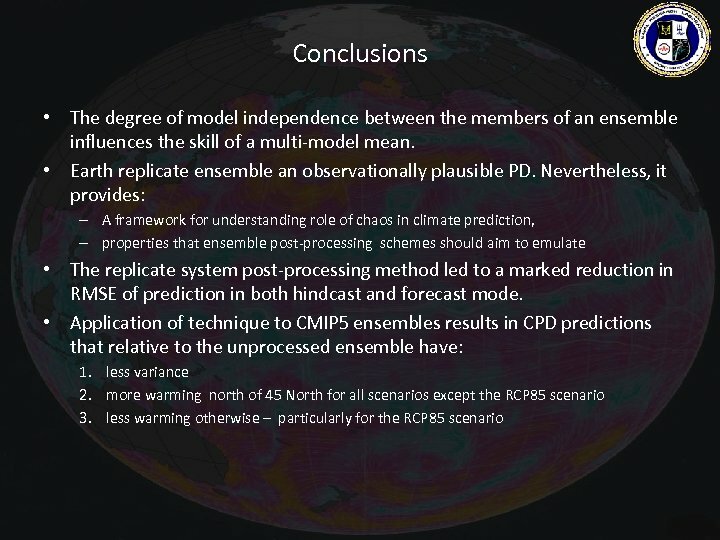 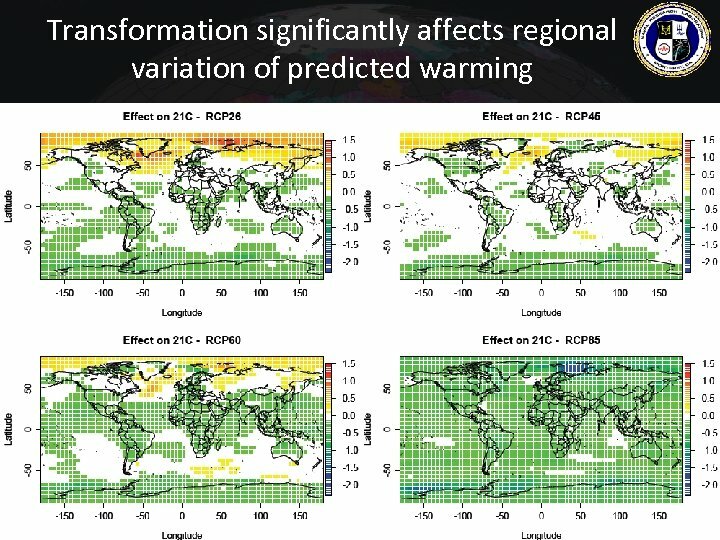 Distribution of forecast Improvements are relative to ensemble mean improvements Forecast improvements are significant! 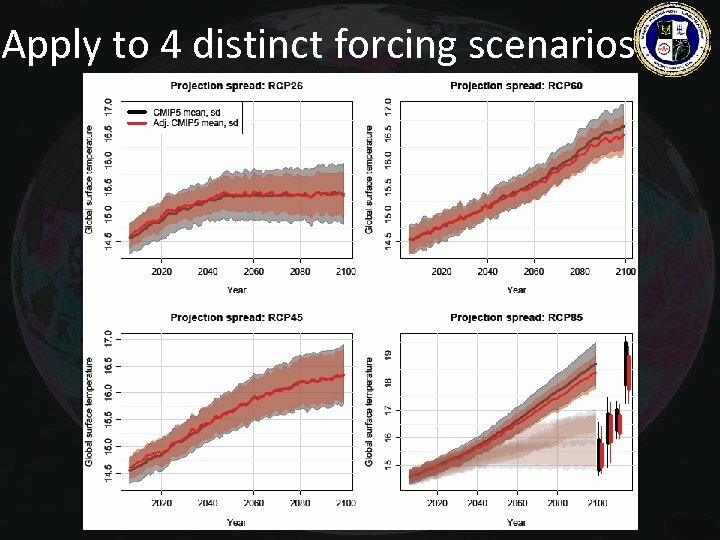 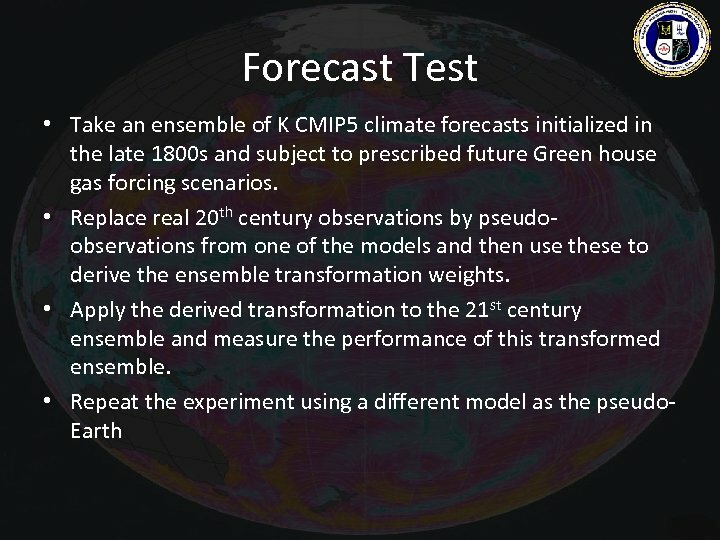 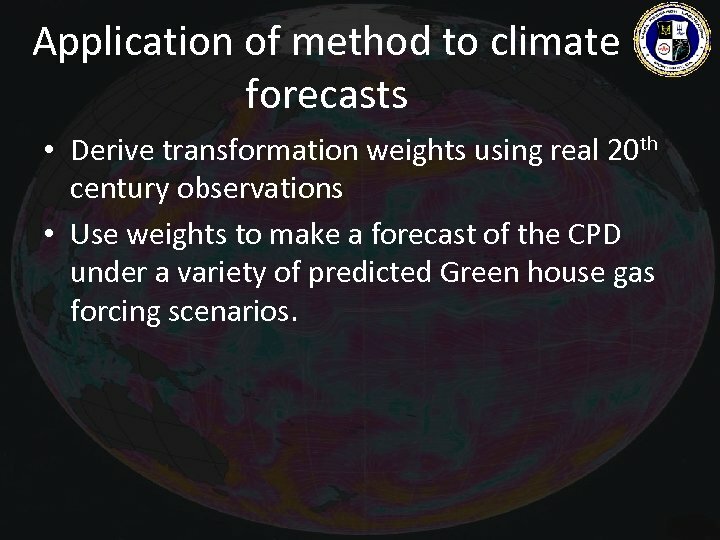 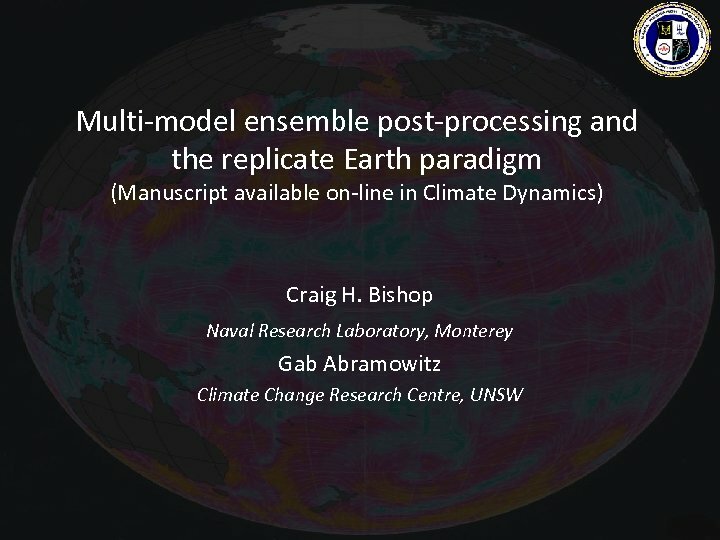 Application of method to climate forecasts • Derive transformation weights using real 20 th century observations • Use weights to make a forecast of the CPD under a variety of predicted Green house gas forcing scenarios.